Dishwashers are one of those modern conveniences that make us wonder how we ever lived without them. When the dishwasher in your house breaks down, its nothing short of a family emergency. But never fear, if your dishwasher is acting like its about to call it quits, you can find expert dishwasher repair services at GSR Co. Appliance Repair. We know how to troubleshoot problems and get your kitchen back in order in no time. When your dishwasher does not drain, a puddle of water can be left after you wash dishes. 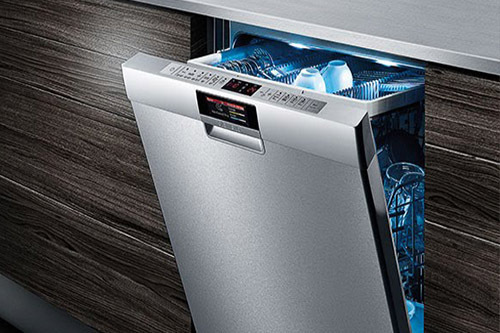 GSR Co. dishwasher technicians know how to get your dishwasher up and running in no time. If your dishwasher is not cleaning your dishes thoroughly, a heating element or lack of pressure may be the problem. GSR Co. technicians will diagnose the malfunction and find a solution quickly. We repair these types of problems very often so you can rest assured that your appliance will be repaired quickly. Our experience with common problems like these allows us to pinpoint the problem and repair quickly. The good news is: GSR Co. Appliance Repair can solve all three of these problems! Call us for a quote, and see how affordable quick, convenient quality dishwasher repair service can be! Call (847) 962-0242 for speedy service today! GSR Co. Appliances hasn't met a dishwasher we couldn’t fix. If you don’t see your dishwasher brand on our list, we can still fix it! Call us for a ridiculously low quote, and see if we can work for you. © 2018 GSR Co. Appliance Repair. All rights reserved.